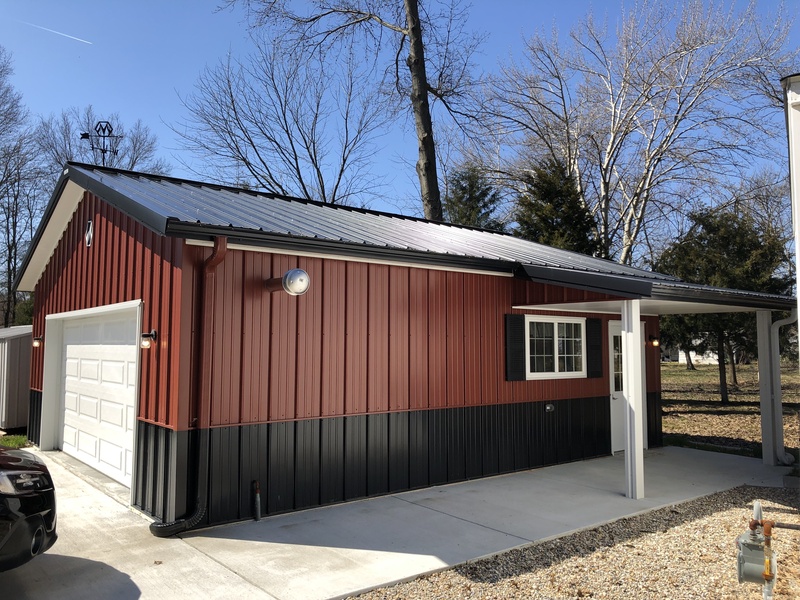 Move-In-Ready homes are in high demand in today’s market and this one certainly fits in that category. 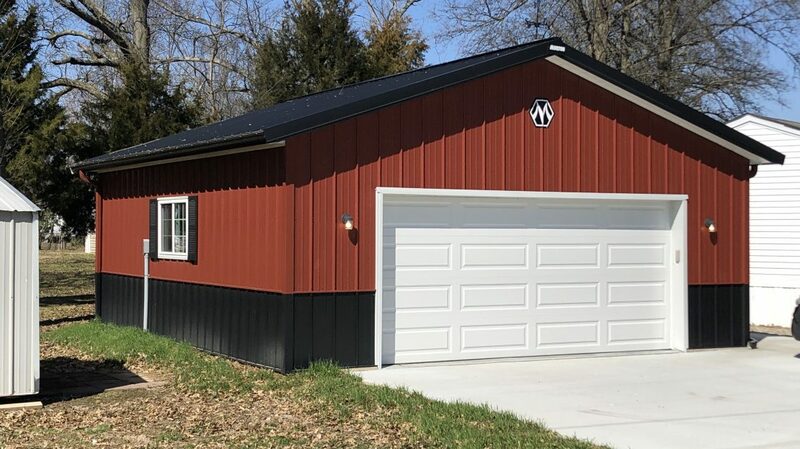 No expense has been spared on this home and brand new Morton garage. 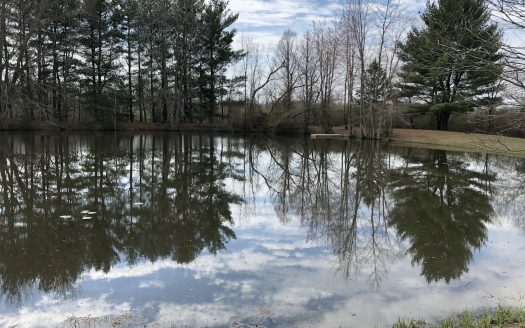 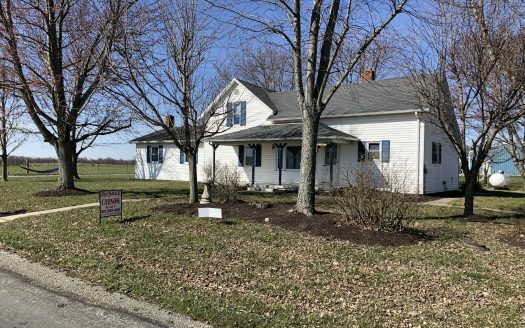 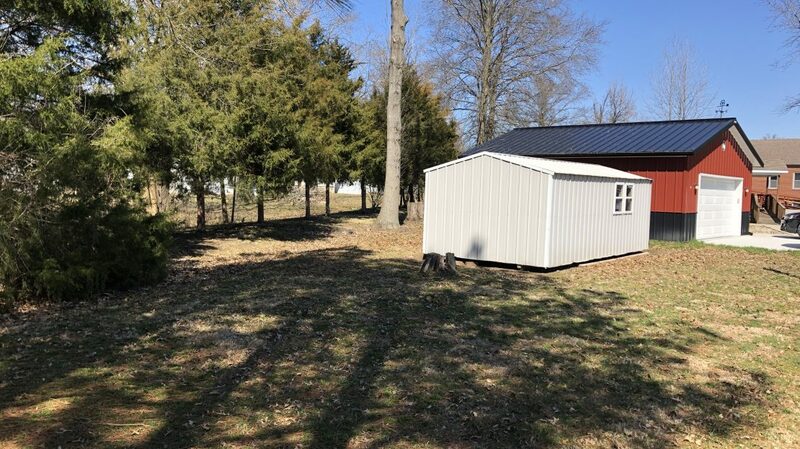 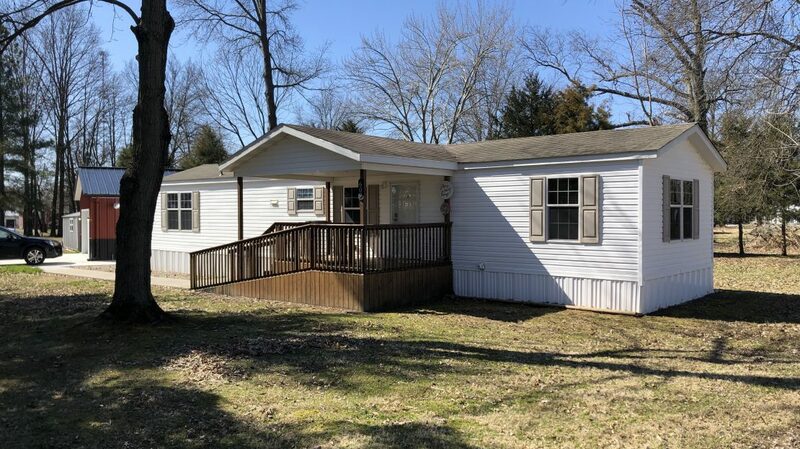 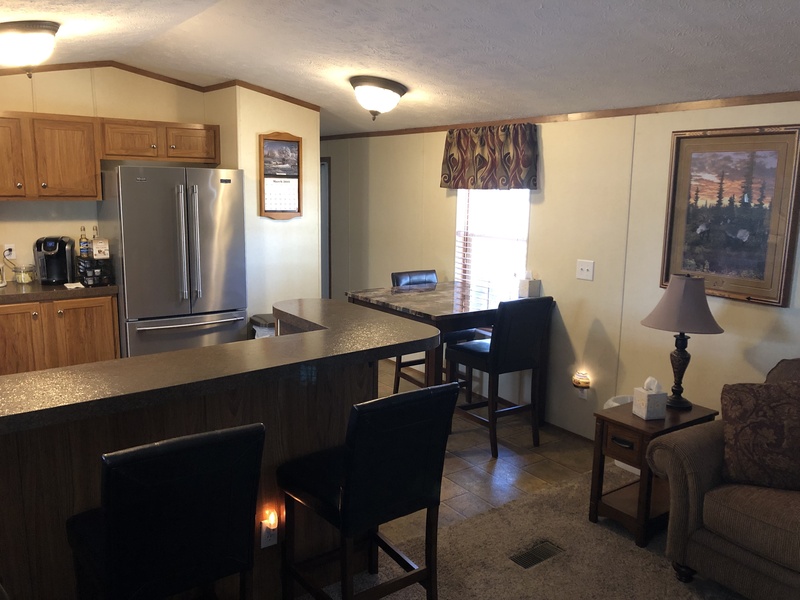 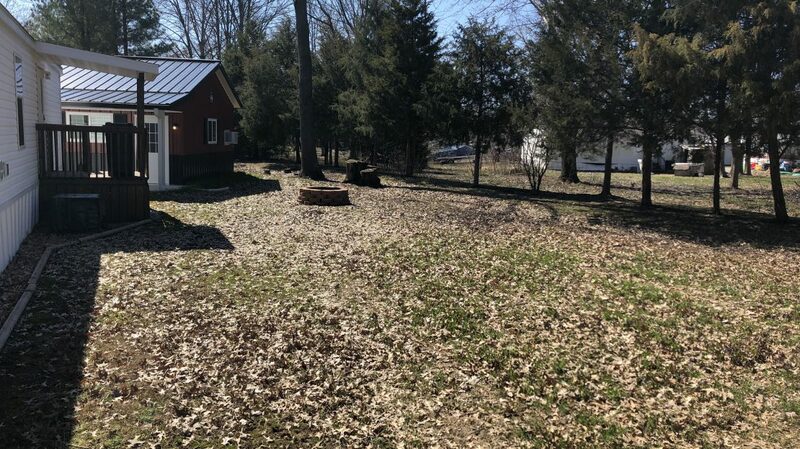 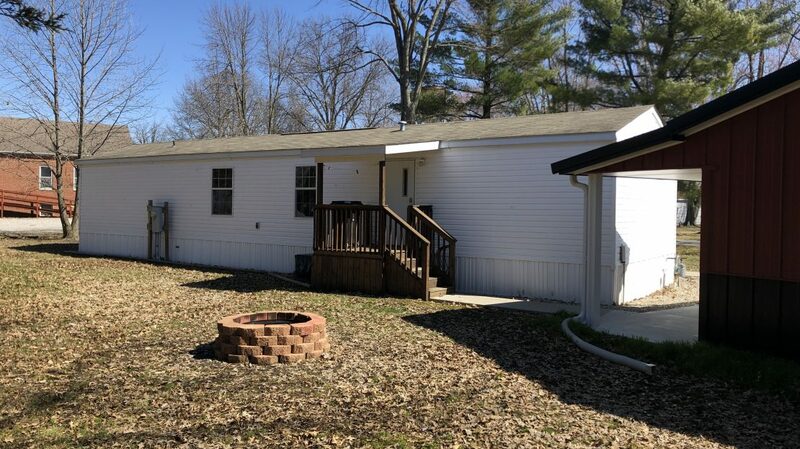 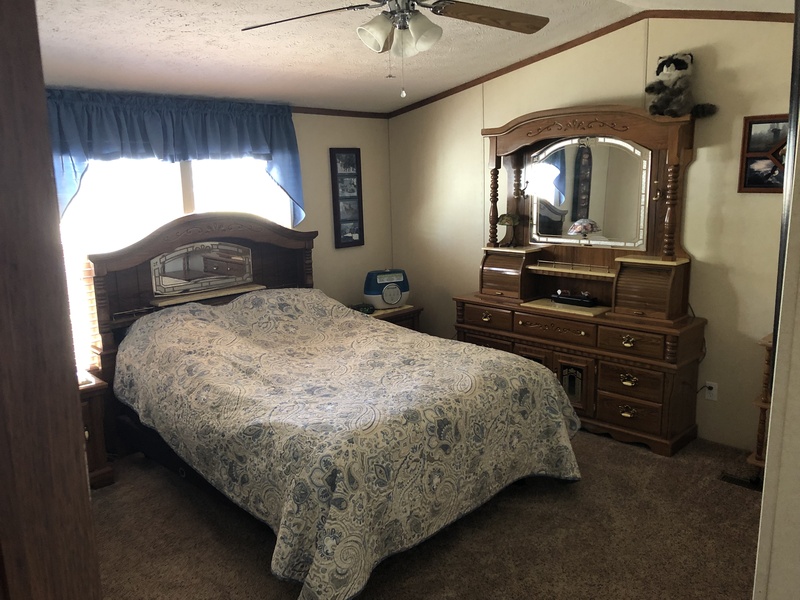 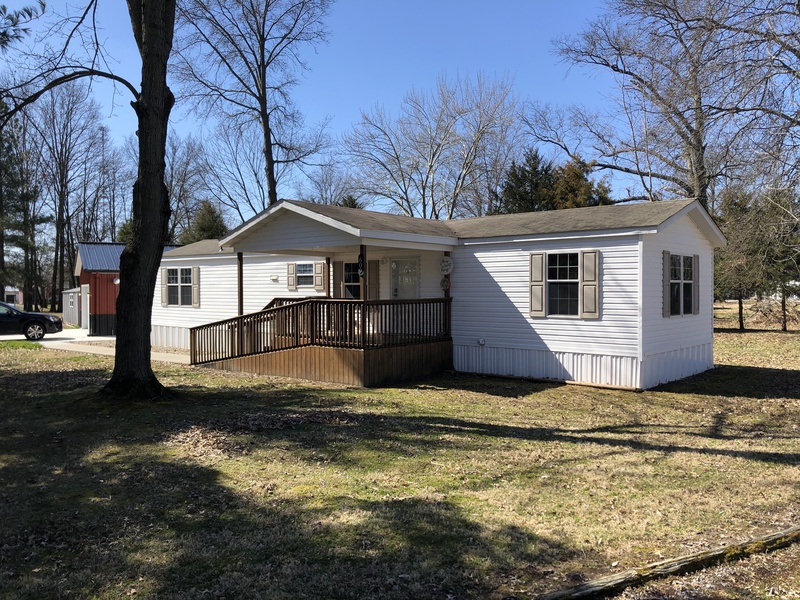 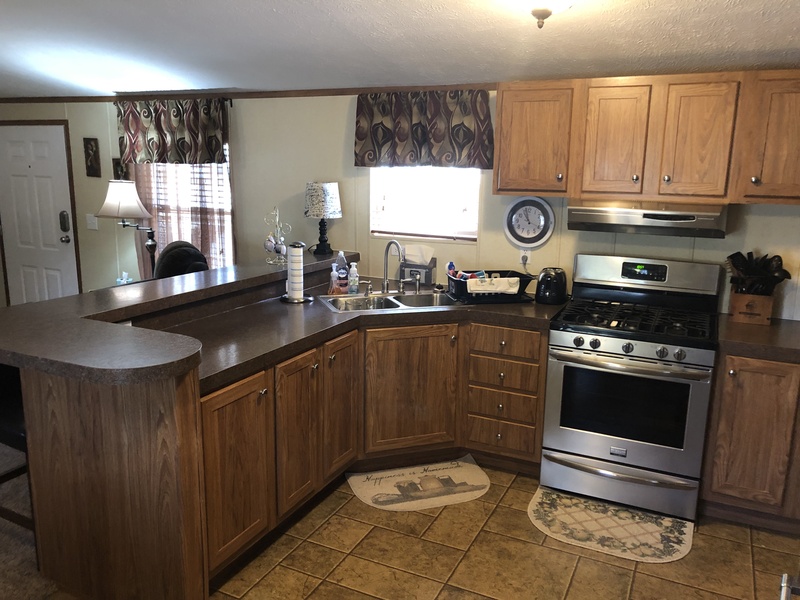 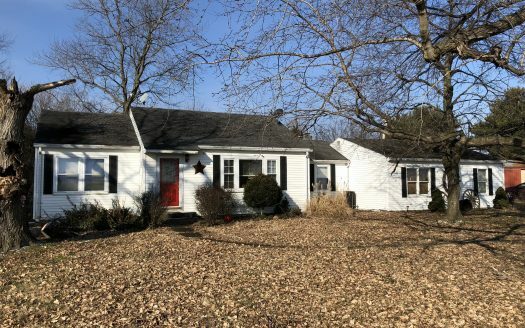 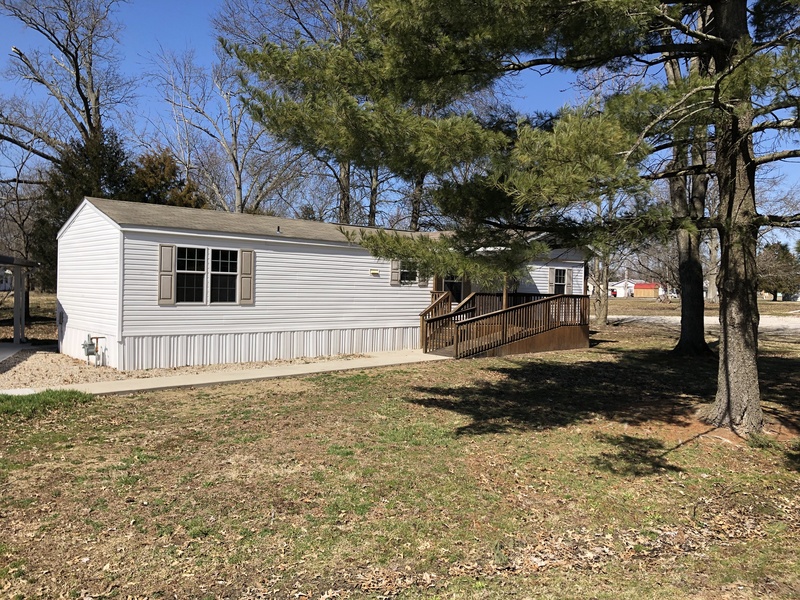 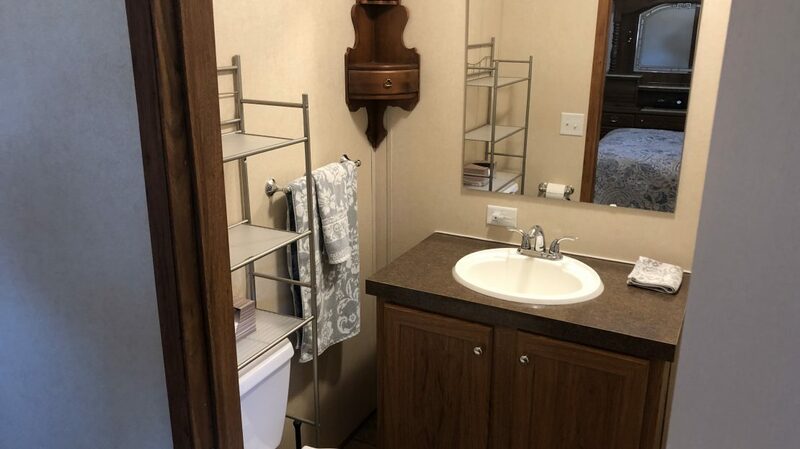 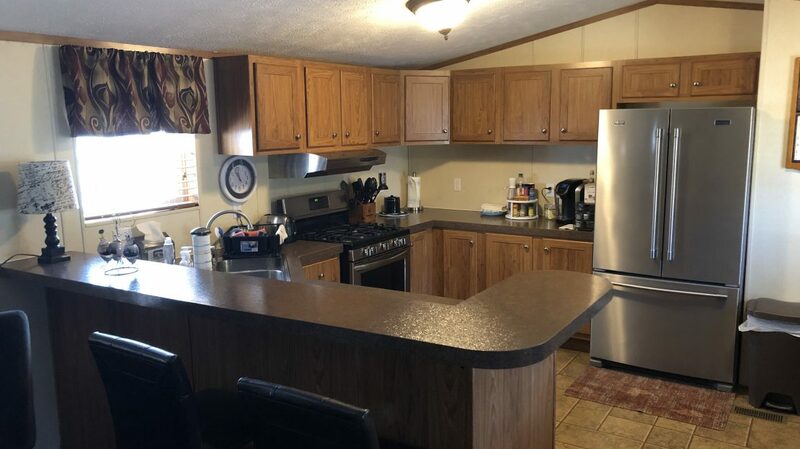 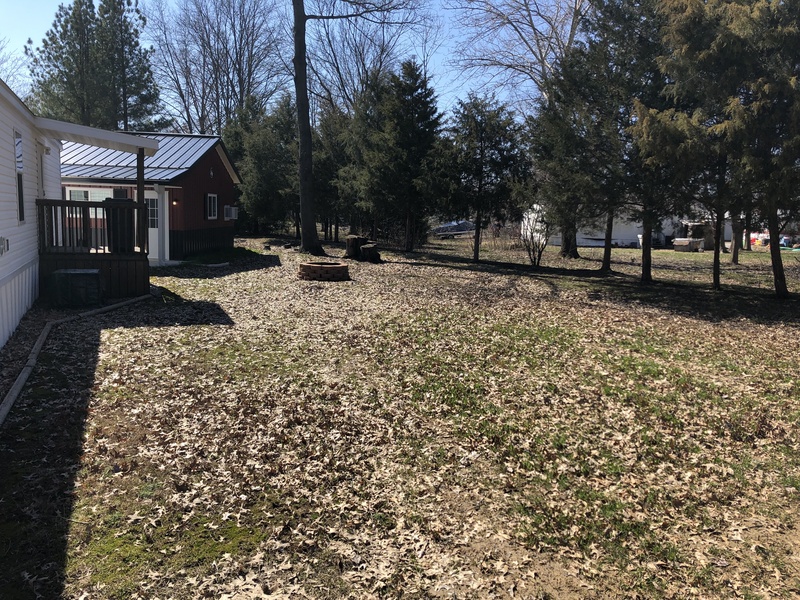 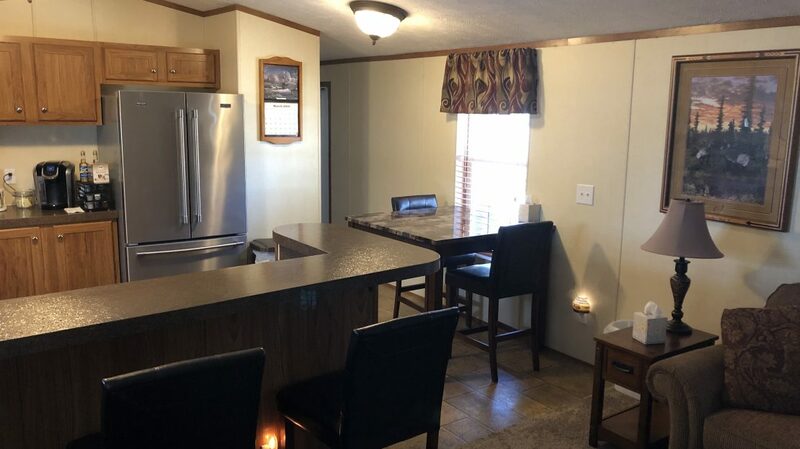 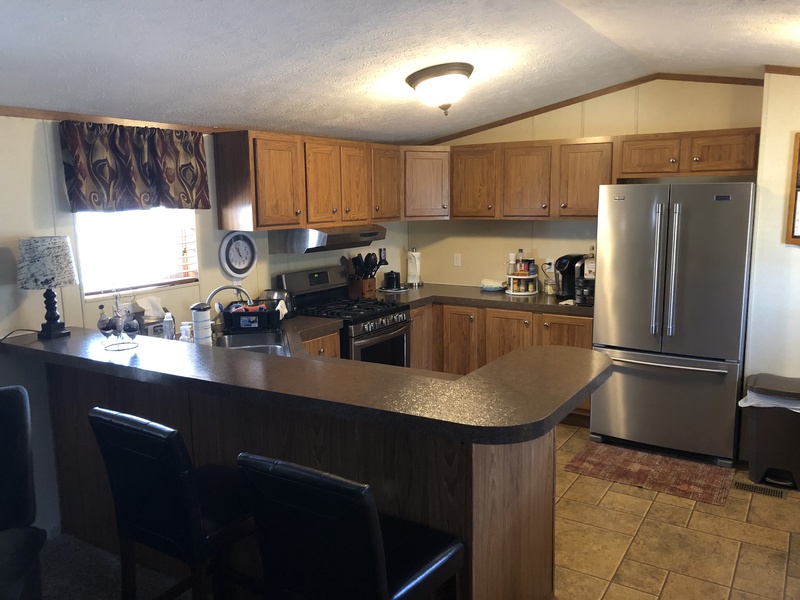 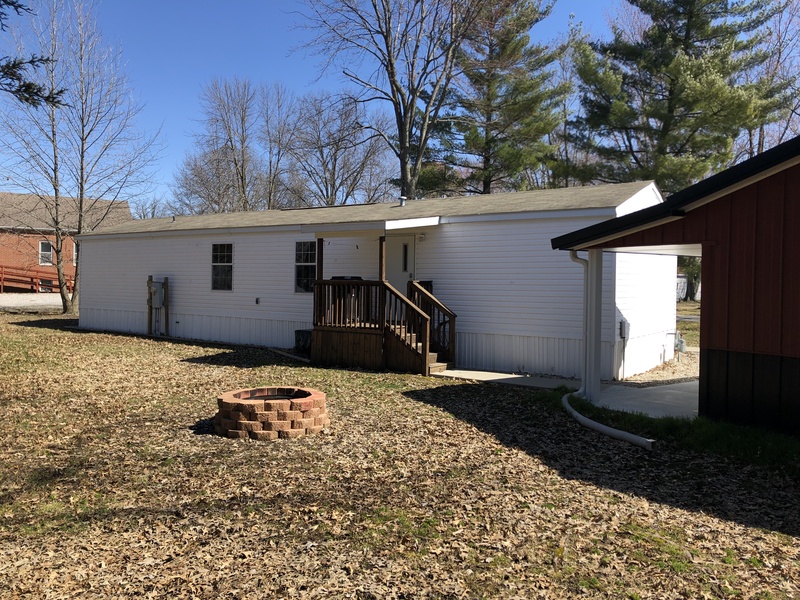 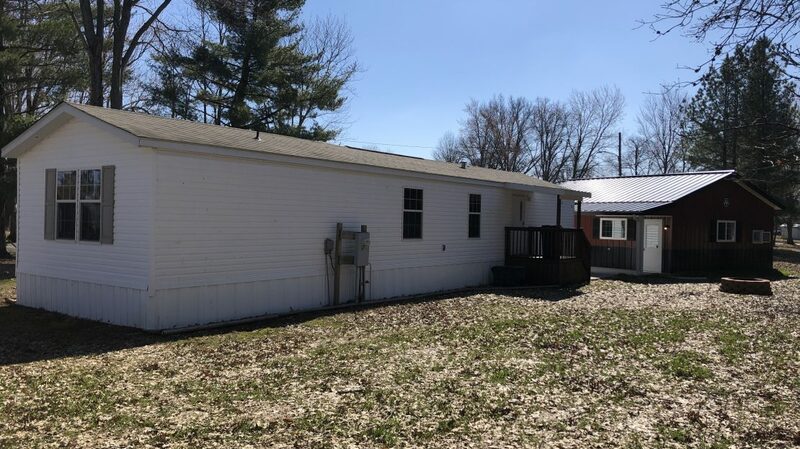 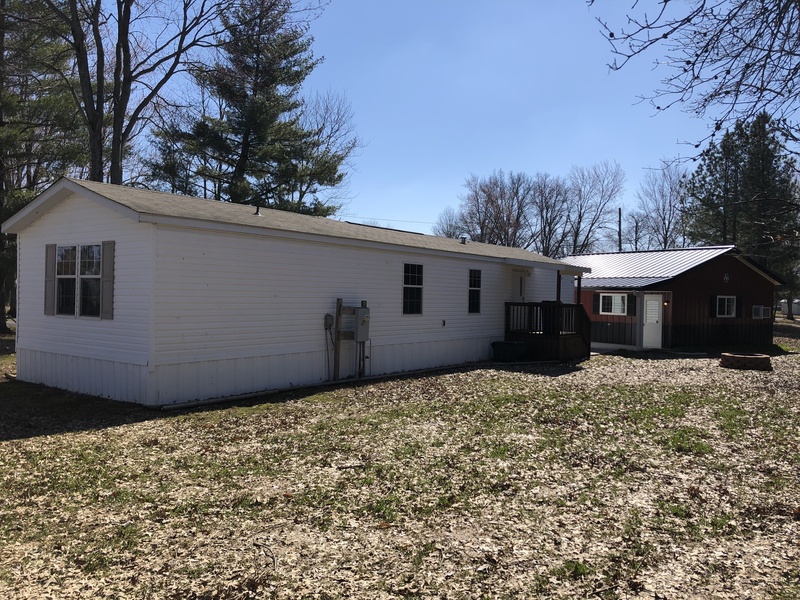 This property is conveniently located just a few blocks from downtown Cisne in a quiet neighborhood and just down the street from Cisne Middle School and the baseball/softball fields. 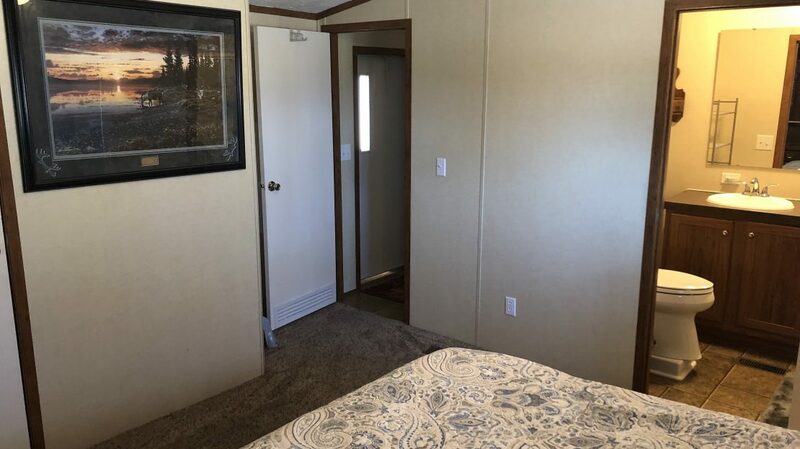 The home is a 16’X60′ (960sq.ft.) 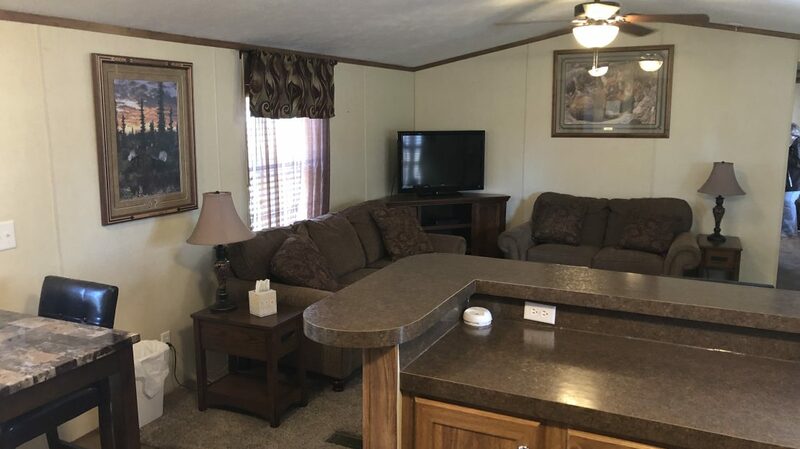 2010 singlewide Clayton home. 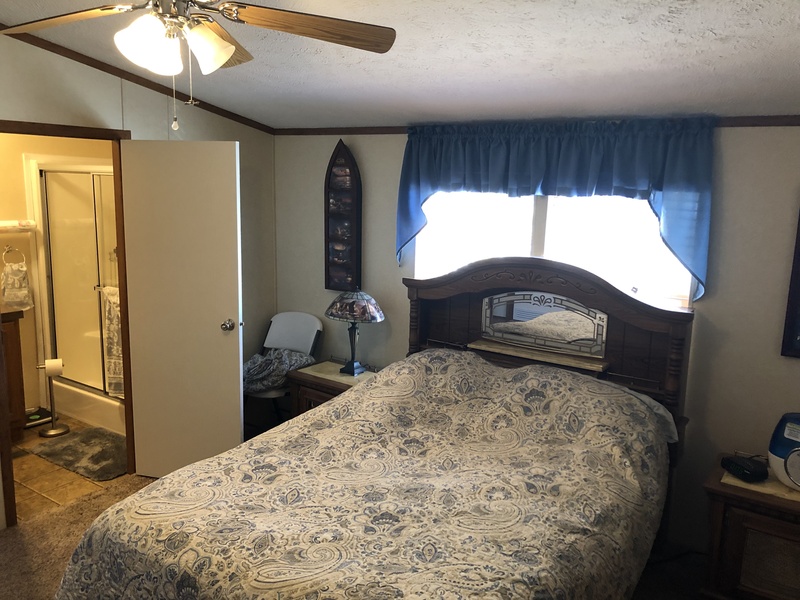 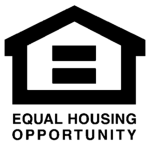 The layout consists of an open living/kitchen/dining area, the master bedroom and bathroom is located at one end of the home and a second bedroom and bathroom are located at the other end. 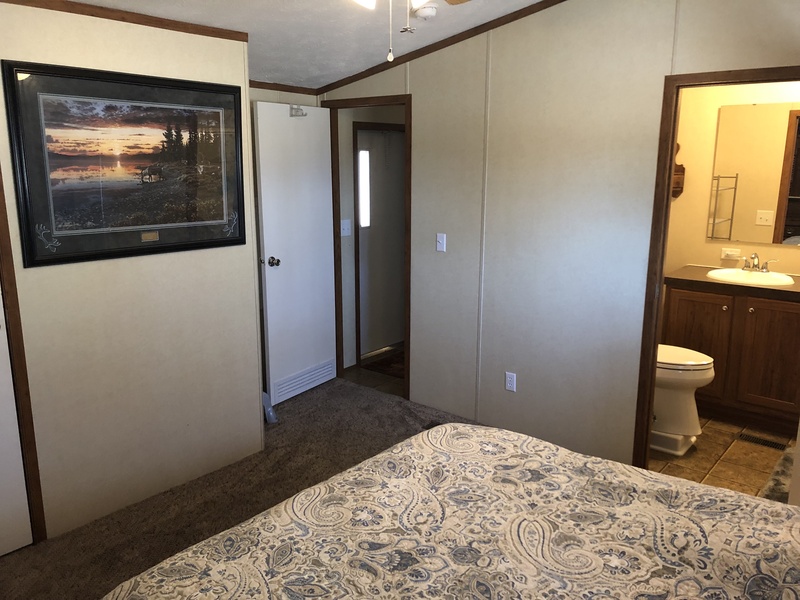 The interior finishing consists of carpet and linoleum floor coverings, paneled walls, and textured drywall ceilings. 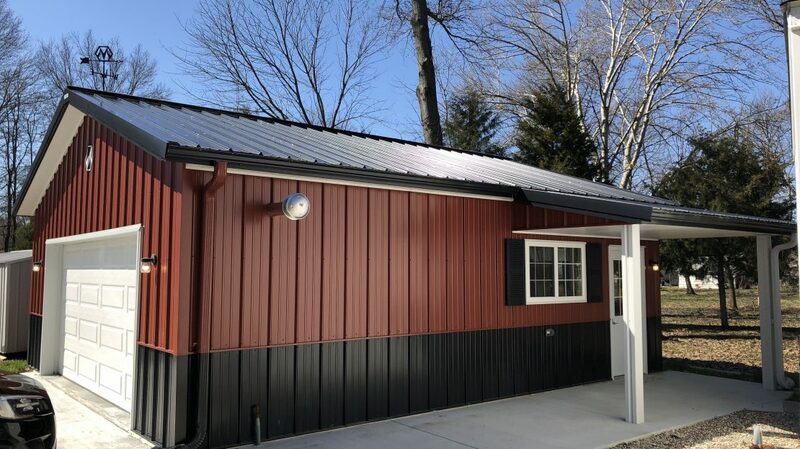 The exterior of the home has vinyl siding, and a composition shingle roof. 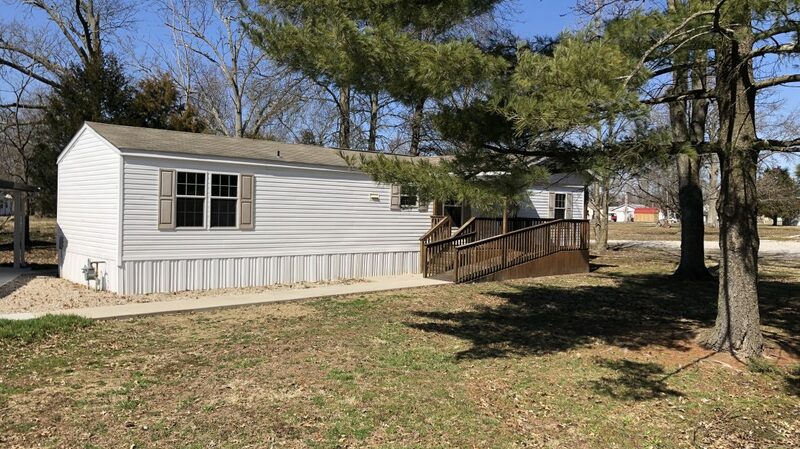 The home is also improved with covered front and rear wood decks. 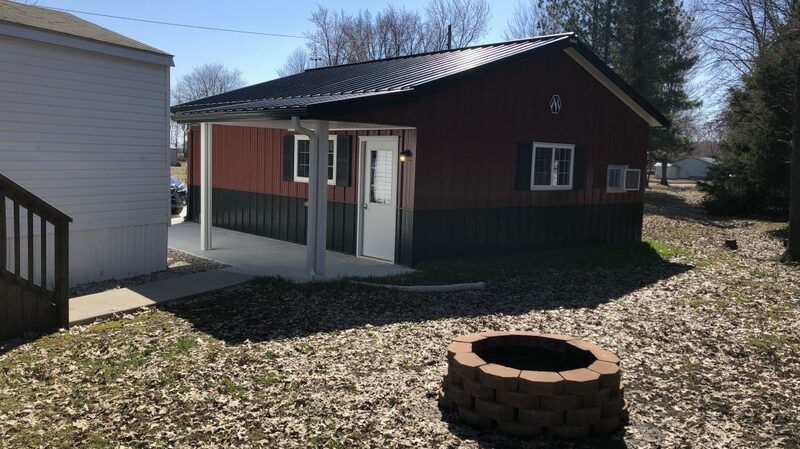 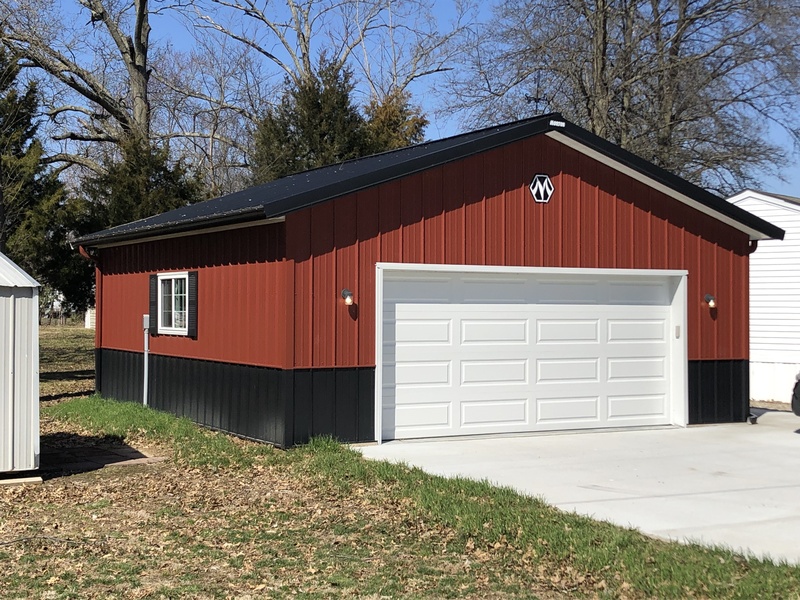 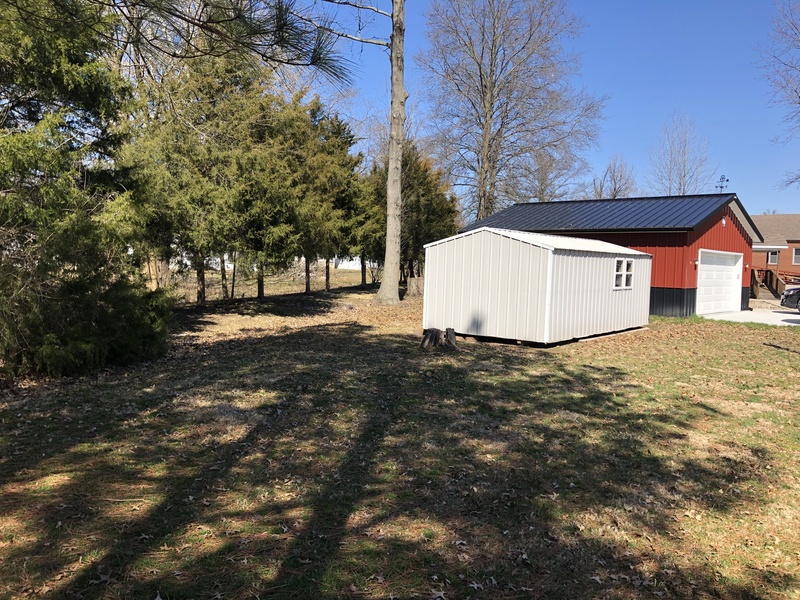 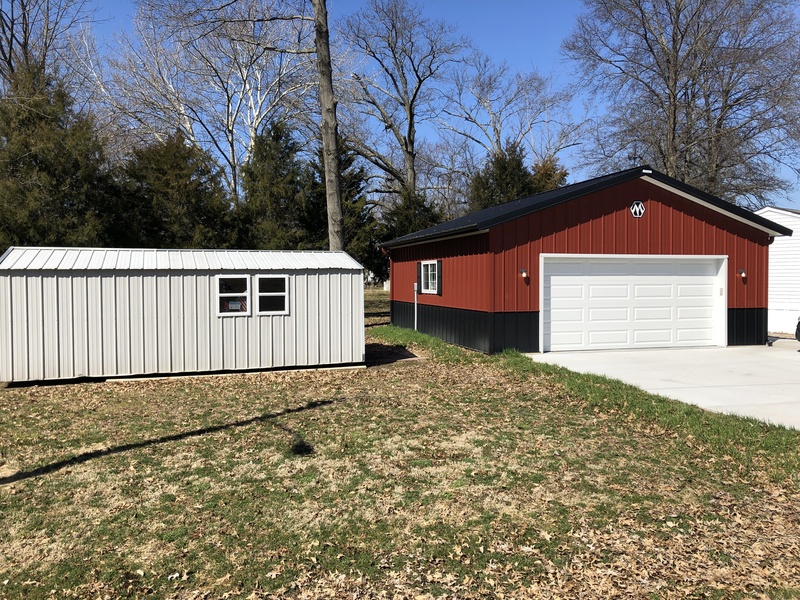 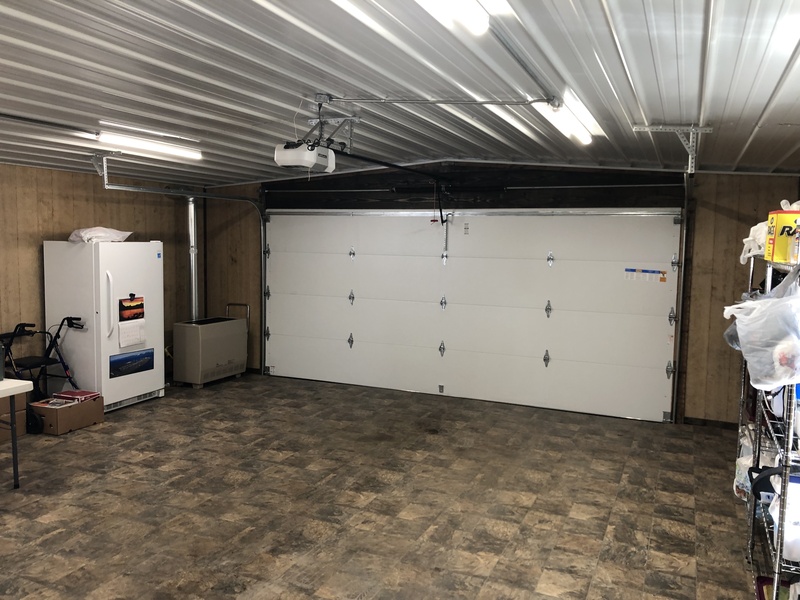 The property is also improved with a 28’X30′ detached Morton garage which was built in 2018. 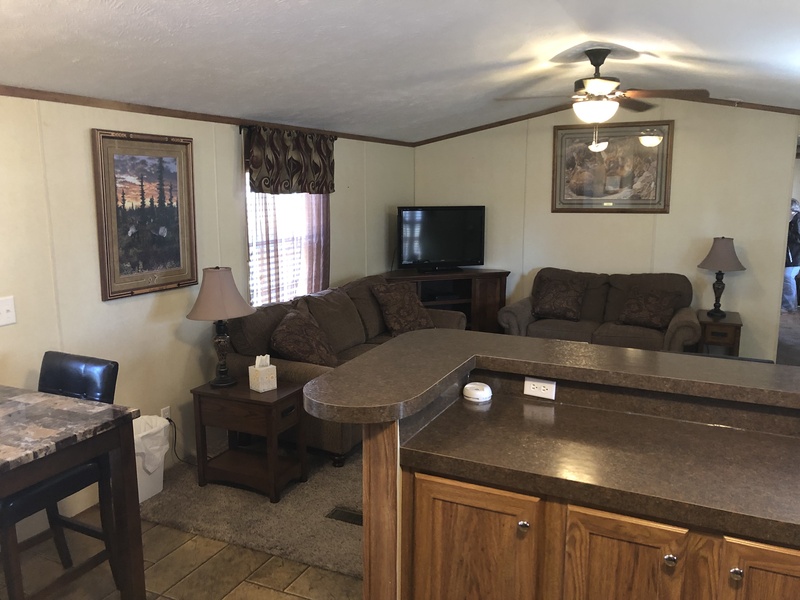 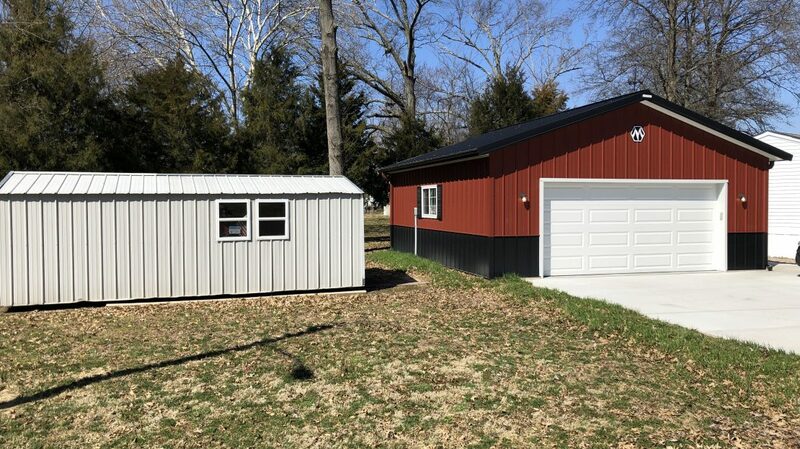 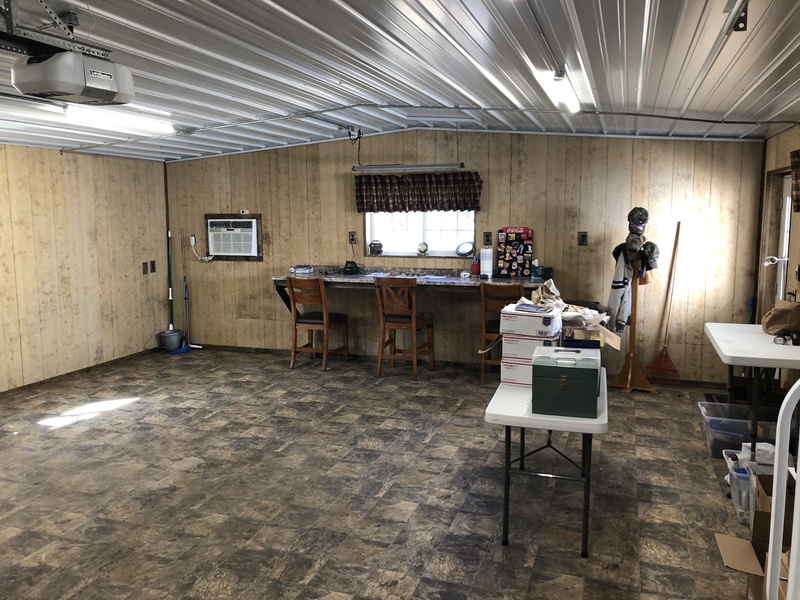 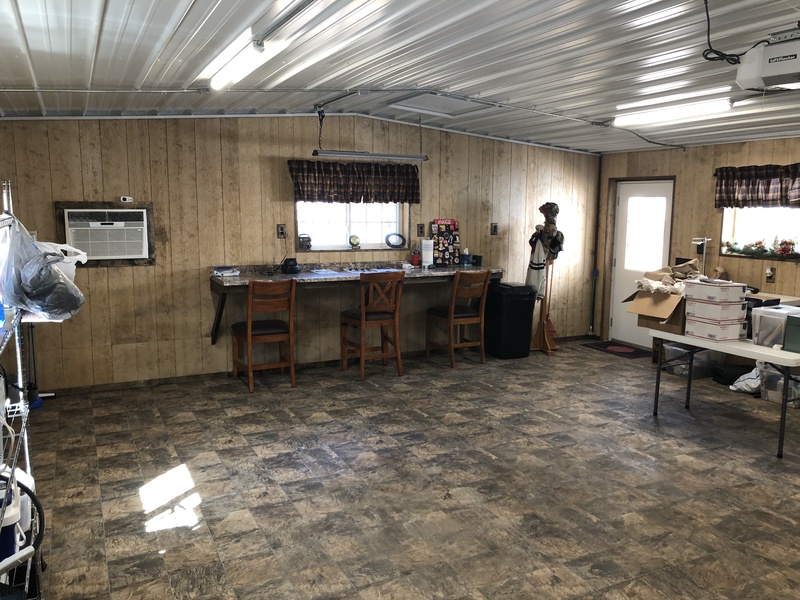 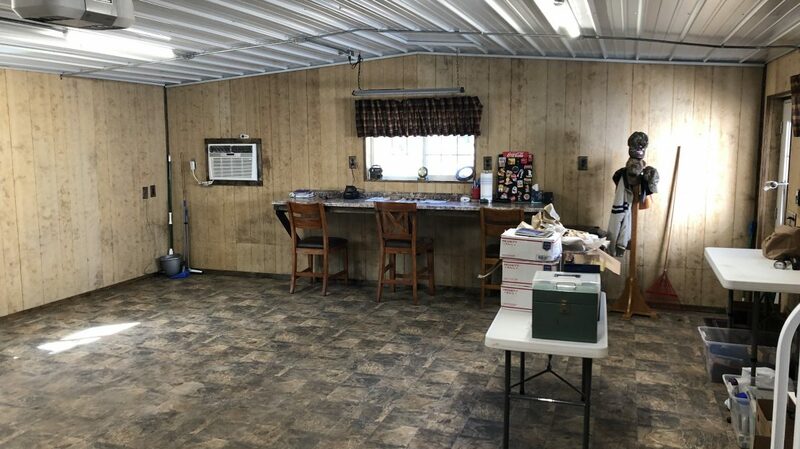 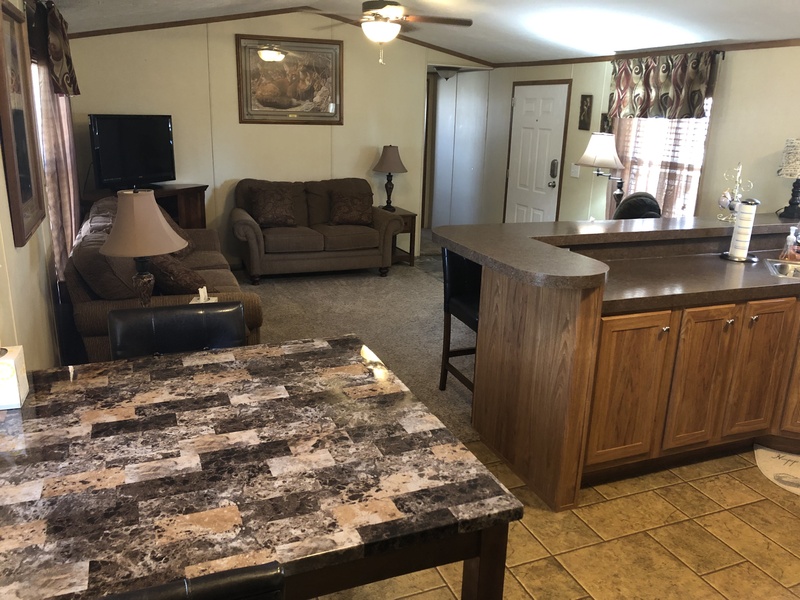 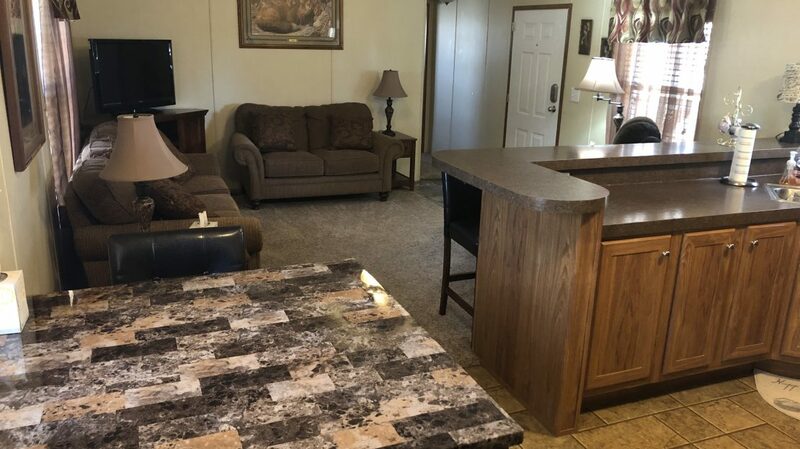 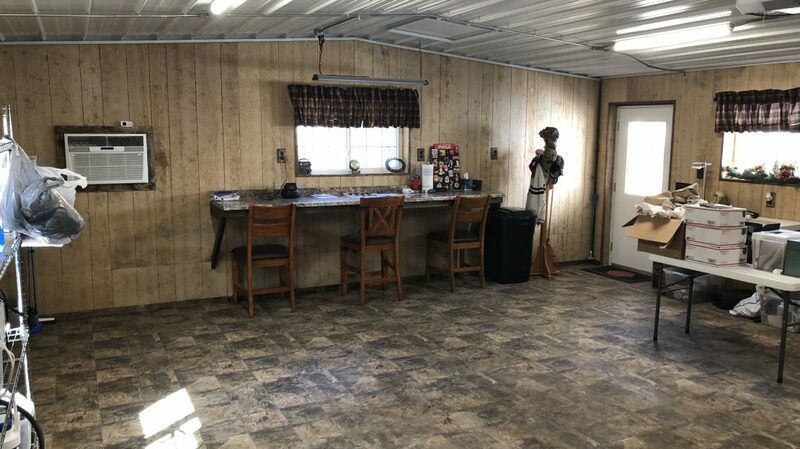 This is no ordinary garage and is truly set up for an additional living area, man cave, she shed, or entertaining area. 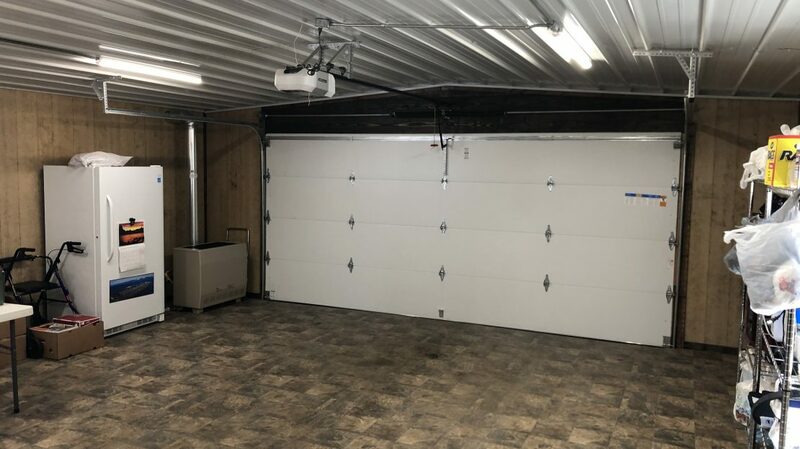 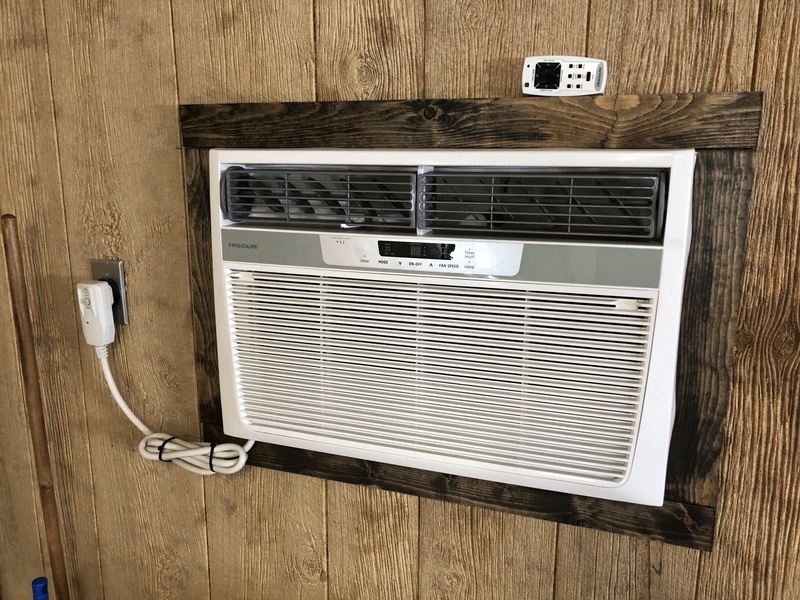 The interior of the garage has Congoleum floor coverings, textured wood walls, and steel ceilings. 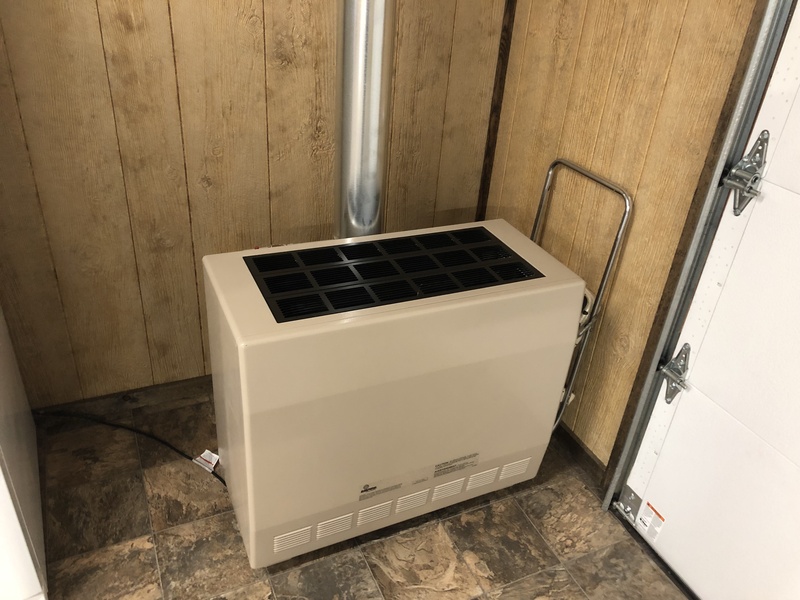 It has also been fully insulated and has a gas floor furnace and window air conditioning unit. 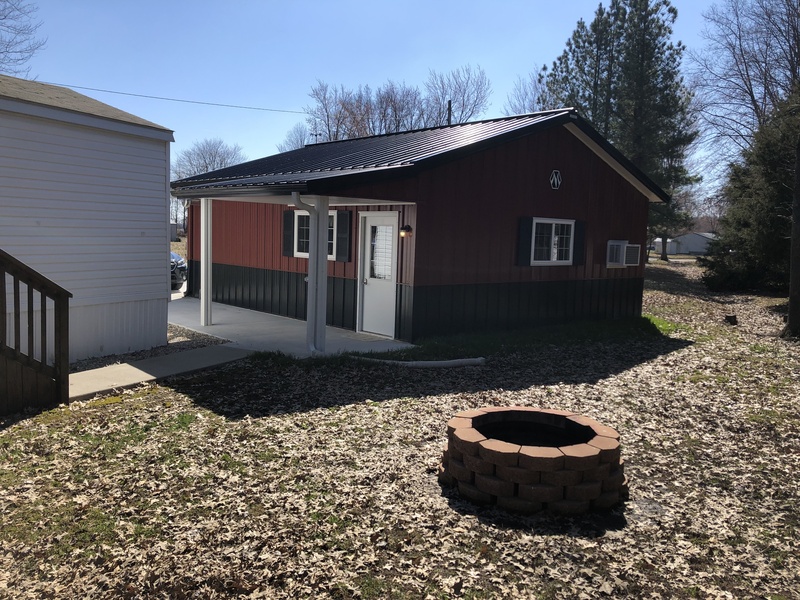 In 2018 the property was also improved with a concrete driveway to the garage and new concrete sidewalks. 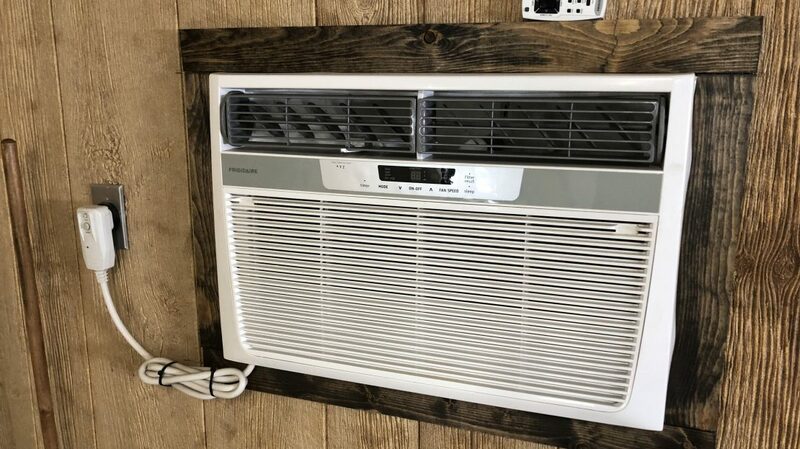 The average utilities of the home are $200/mo. 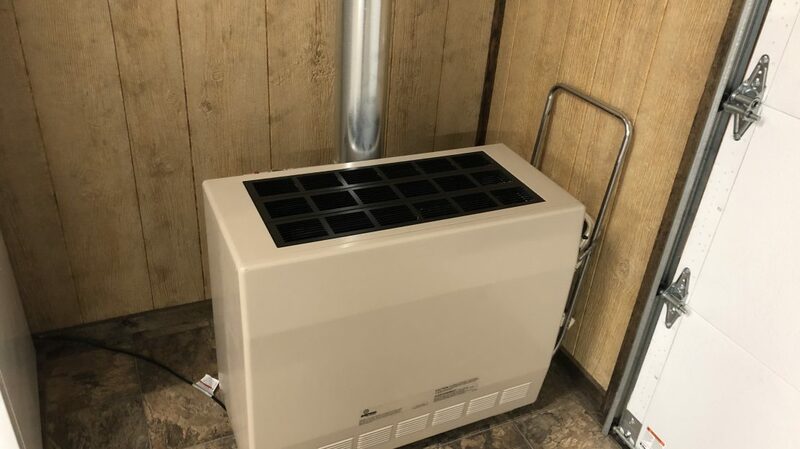 for electric and gas. 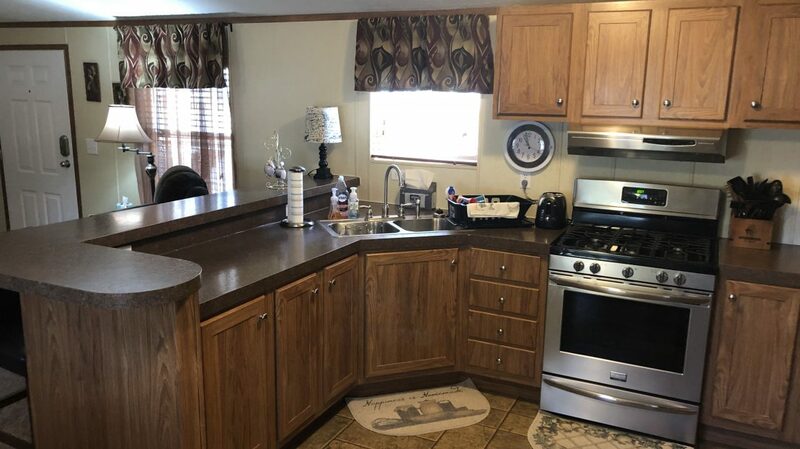 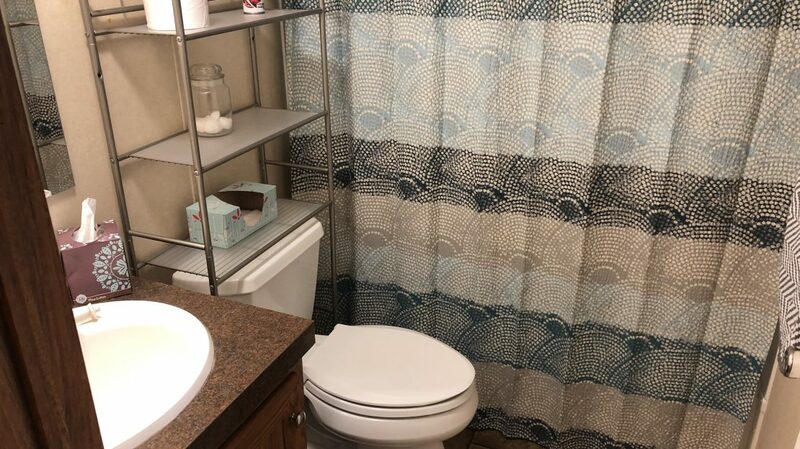 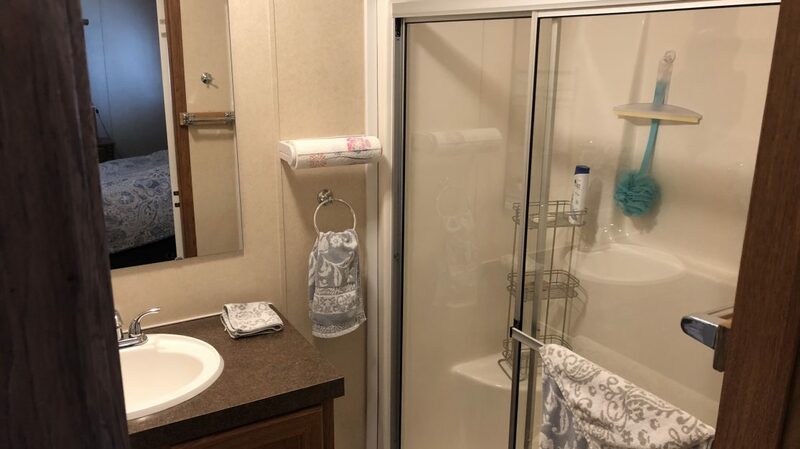 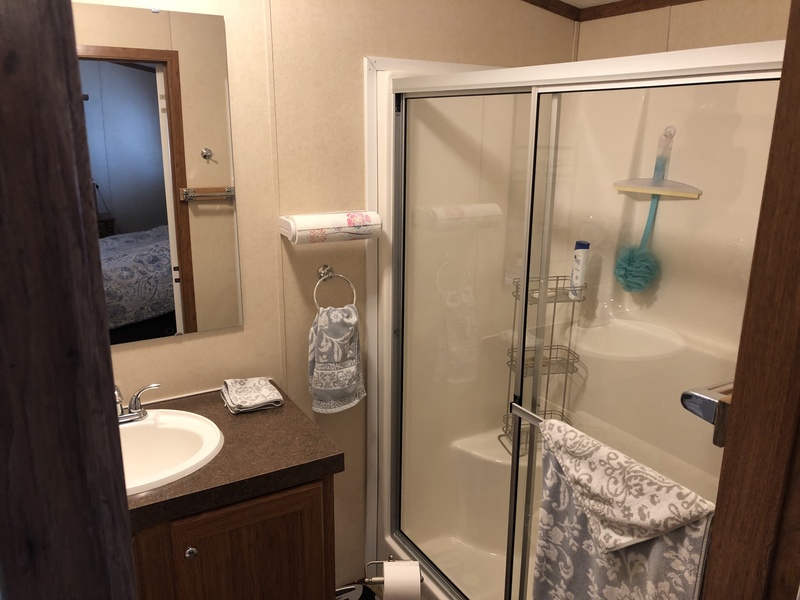 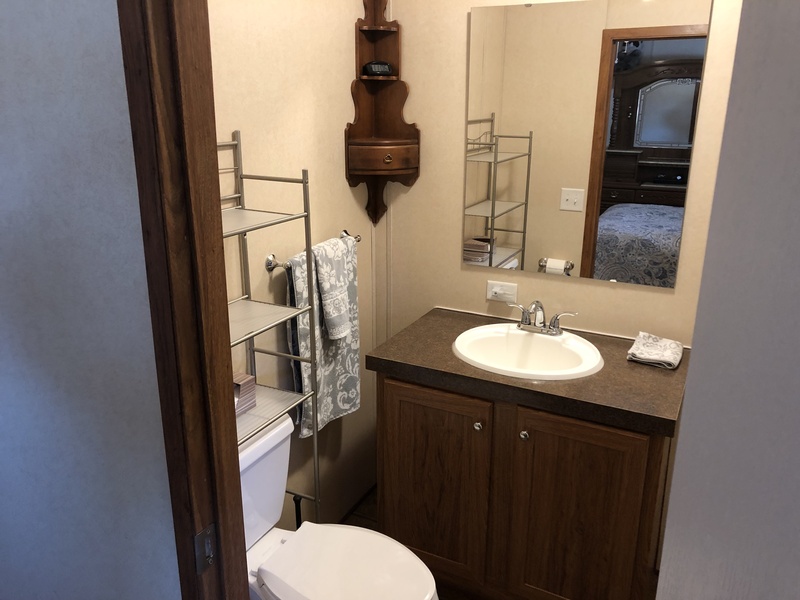 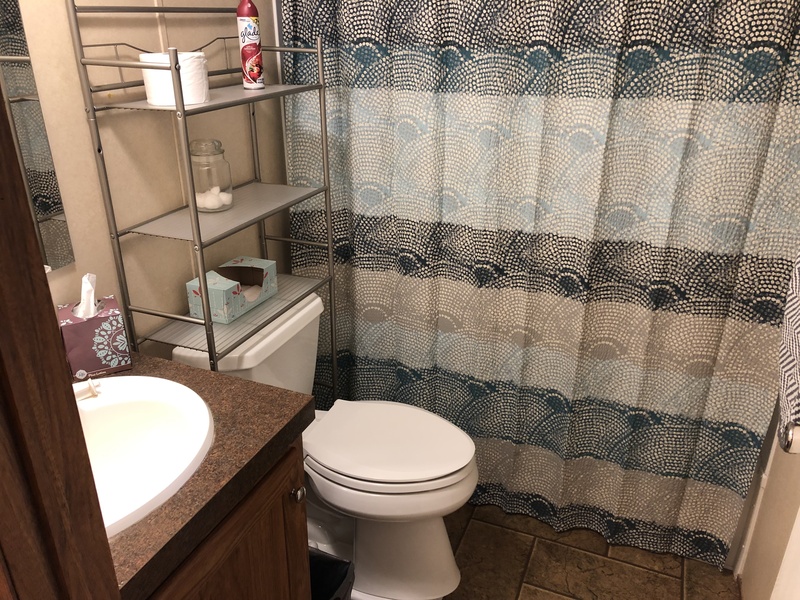 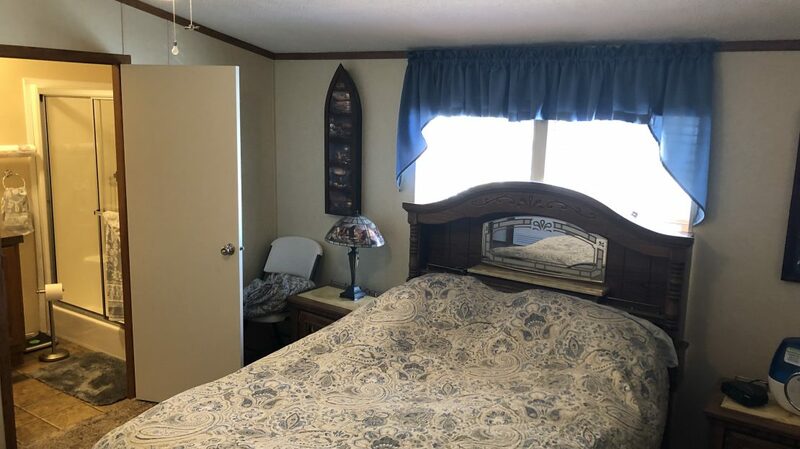 This home can be purchased fully furnished including a washer and dryer which are five years old, and a refrigerator and range which are one year old. 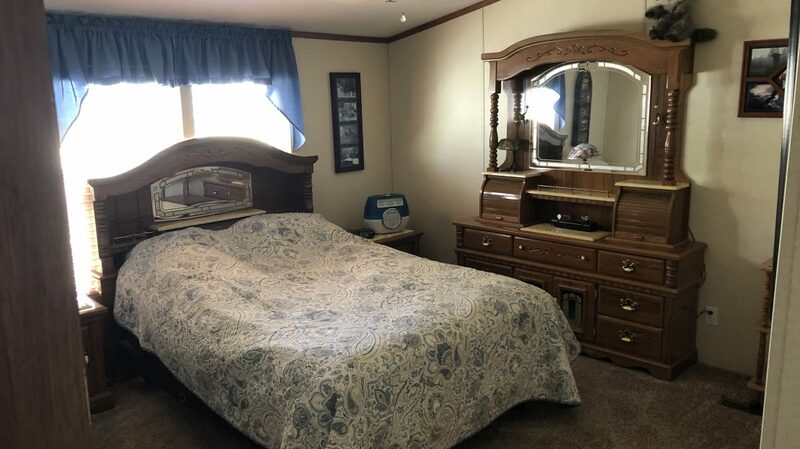 Asking price fully furnished is $64,000 or $59,000 without furnishings.